With meal prep being such a big part of our success, we now find making most things in bulk, including this Keto Mug Bread, makes our lives a whole lot easier! Made likes to have a big jar of this mixture right next to the microwave in times of need, such as when cravings hit or he needs to add some substance to a meal. Its take two minutes to make the mixture and another two to make the bread! 90 Seconds To A Delicious Meal! 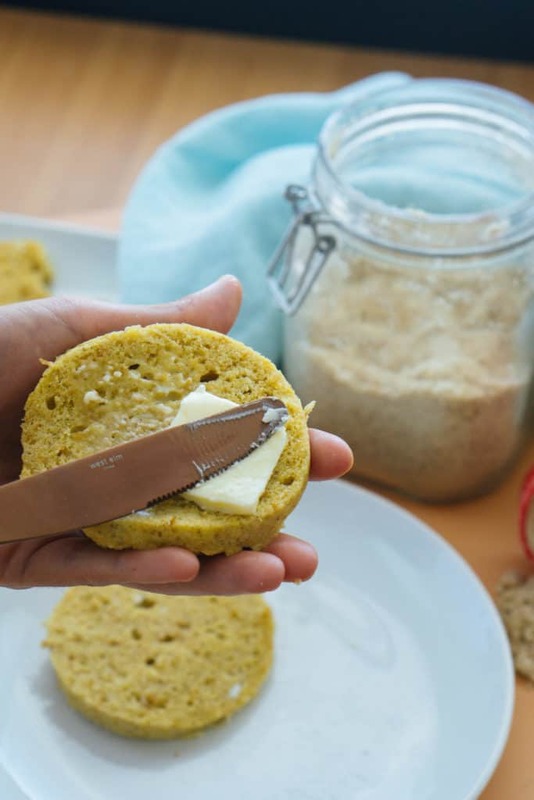 The reason we create recipes like this keto mug bread is not only to scratch our own itch, but to make the keto diet easier for you. Sometimes we have too much going on in the day where we don't have time to make a meal for ourselves, let alone an entire family. That is where this recipe serves its purpose. It will take you 90 seconds to make this bread and then you can fill it and top it with whatever you have in the fridge! 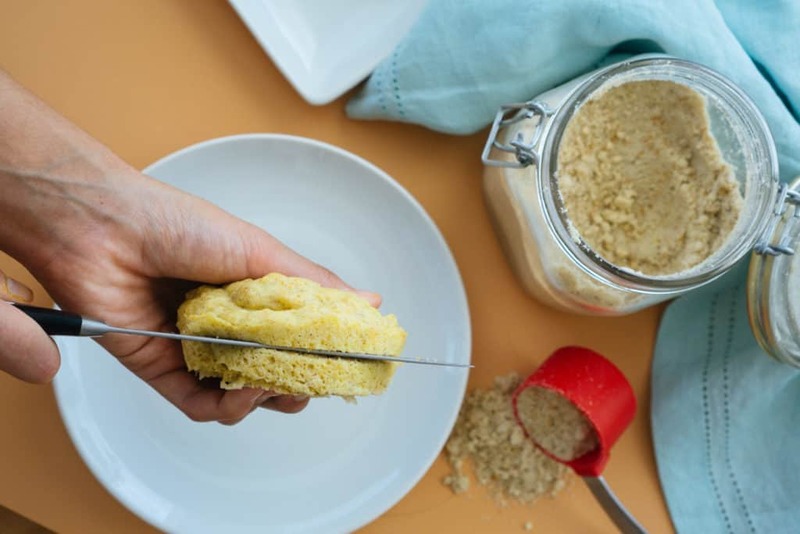 ...but, we've done the hard work and created several almond flour recipes to satisfy all your sweet and savory cravings! Don't be afraid to experiment with any of the recipes above or this easy, low carb mug bread recipe! You can add nuts, seeds, berries or different spices to suit your taste that day. If you're looking for a quick, healthy snack or side dish for your meal this keto mug bread is the perfect recipe for you. You can make the mix in bulk (as shown in the video) and store it on your counter in a cool dry place for something to turn to in times of need. You don't have to sabotage your diet when you can prepare this keto mug bread ahead of time! Recipe can be quickly added to MyFitnessPal - Search "KetoConnect - Keto Mug Bread"
Combine all the ingredients in a large jar and shake to combine. Make the bread: Add 1 tbsp of butter to a microwave safe bowl. Add 1/4 cup of the mix to the melted butter and add an egg. Mix it thoroughly with a fork until uniform. Microwave on high for 70-80 seconds. Eat is as is or flip onto a plate and slice in half to use for a sandwich or side to your meal! Note: Making it in bulk will make it easier to make a quick microwave bread for a snack or meal. Best stored in a air tight container on the countertop up to 3 weeks. The nutrition reflects the mug bread made.